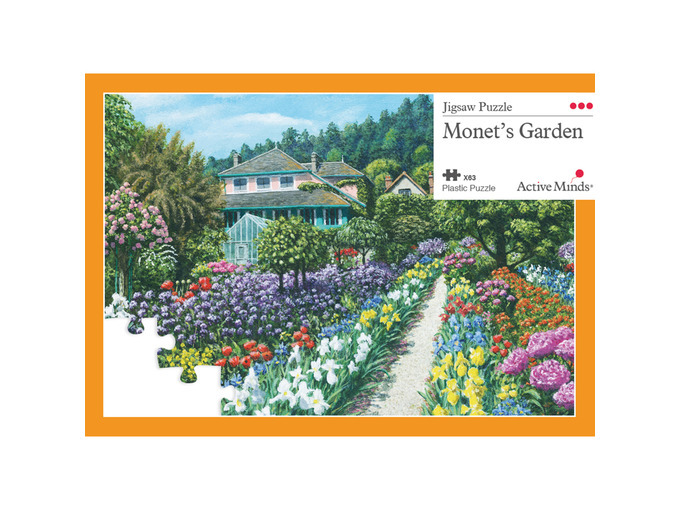 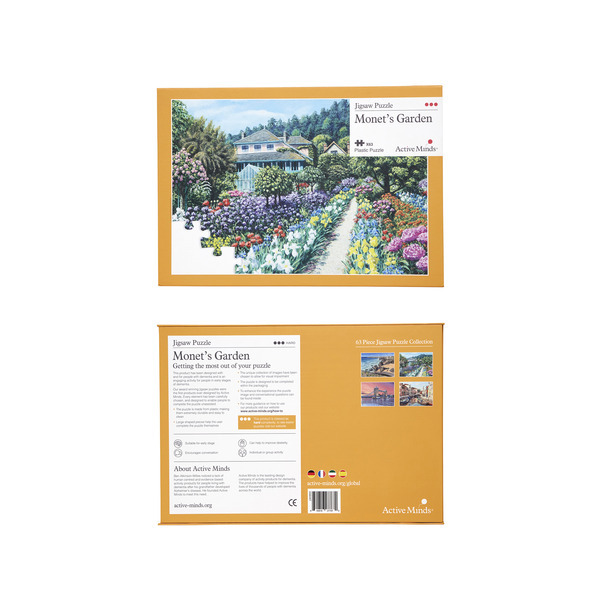 This 63 piece puzzle of Monet's Garden depicts a springtime visit from artist Richard Harpum, perfect for sparking conversations with anyone with a love of nature. 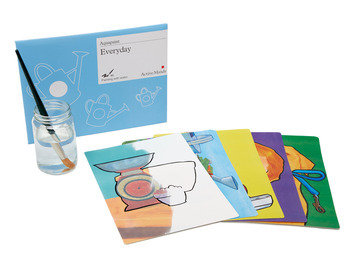 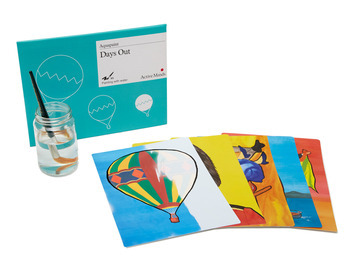 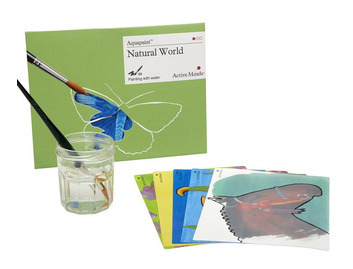 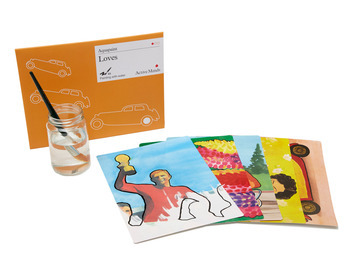 All Active Minds' puzzles have been designed from the ground up for people living with dementia and Alzheimer's. 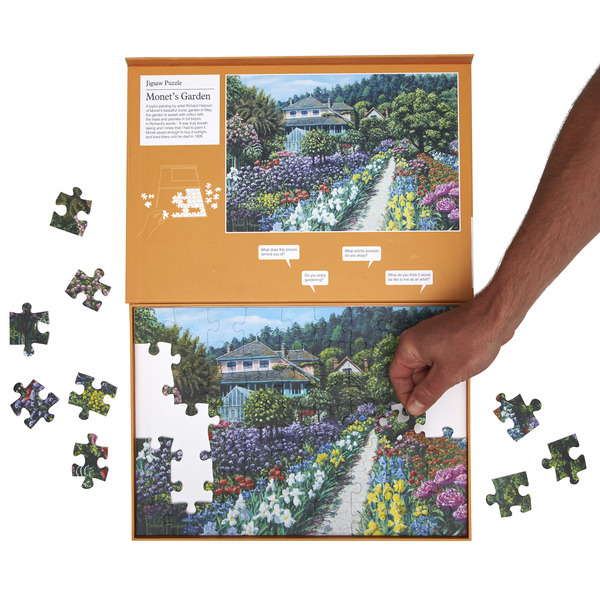 The number of large pieces and age appropriate image make this puzzle perfect for people with early stage dementia or anyone who found our 35 piece puzzles too easy. 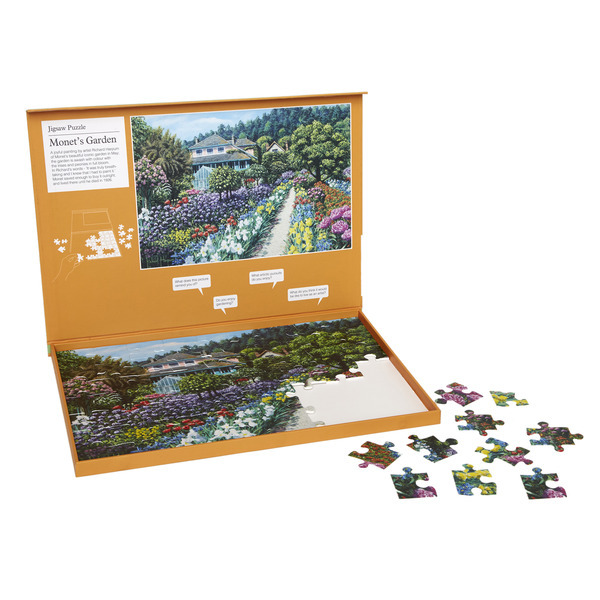 Each puzzle sits in the frame box helping the user assemble to the first few pieces and complete the puzzle unassisted. 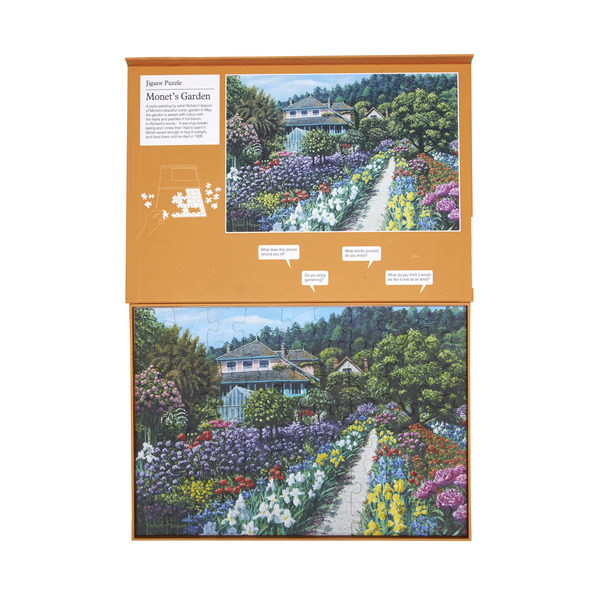 Once finished, each puzzle comes with prompt questions to help spark interesting conversation about time spent in the garden. 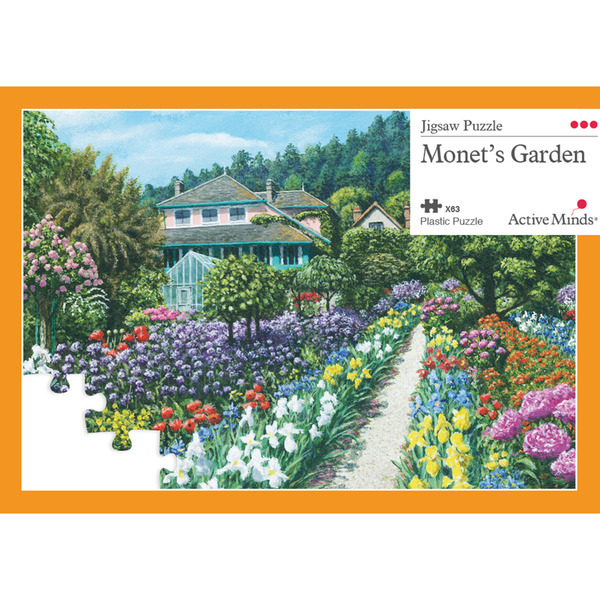 All our puzzles are made from plastic making it much more durable and easier to clean than traditional jigsaws and suitable for hospital or care home use.